Poster of The Natural History of the American Dancer Lesser Known Species. Dancers participating: Barbara Dilley (Lloyd), Cynthia Hedstrom, Rachel Wood (Lew), Carmen Beuchat, Suzanne Harris and Mary Overlie. 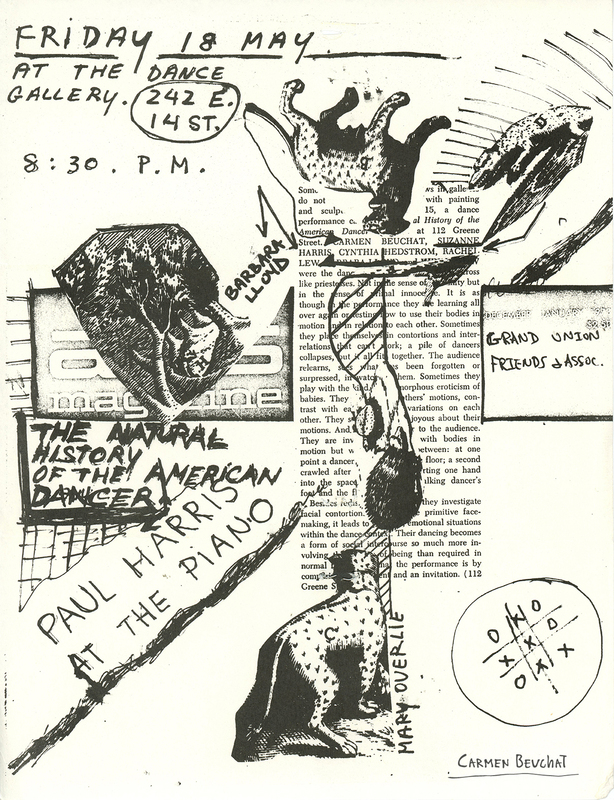 Piano with Paul Harris. Performance presented at Dance Gallery, 242 E. 14th St., New York, United States, 1973. With Grand Union Friend Association. Physical Description: Poster, 28 x 21,6 cm.